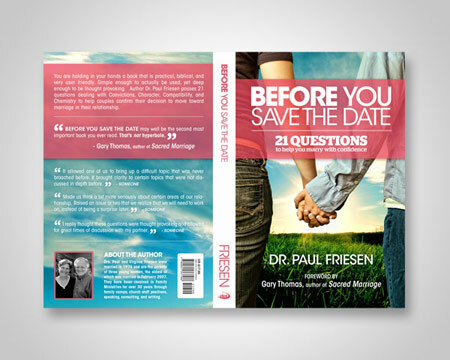 We were hired by doctor and author Paul Friesen to design a book cover for his latest book, "BEFORE YOU SAVE THE DATE - 21 Questions to Help You Marry with Confidence". Drs. Paul and Virginia Friesen were married in 1976 and are the parents of three young women, the eldest of which was married in February 2007. They have been involved in Family Ministries for over 30 years through family camps, church staff positions, speaking, consulting, and writing. As the founders and directors of Home Improvement Ministries, the Friesens regularly speak at marriage, men’s, and women’s conferences in the US and internationally as well as local family and parenting seminars, and have an ongoing ministry with several professional athletic teams. 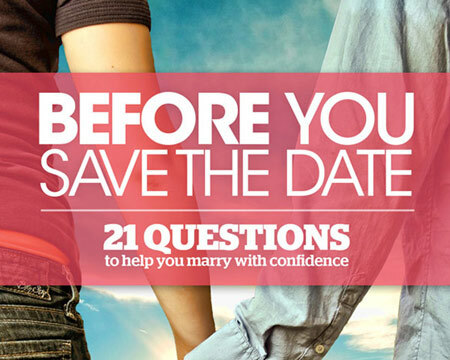 Paul and Virginia both have Doctorates in Marriage and Family Therapy from Gordon-Conwell Theological Seminary. 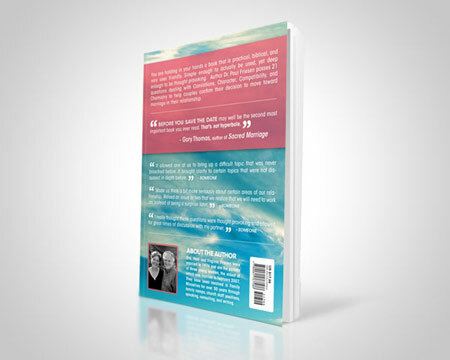 The Friesens are (with four others) co-authors of the book Restoring the Fallen published by InterVarsity Press. 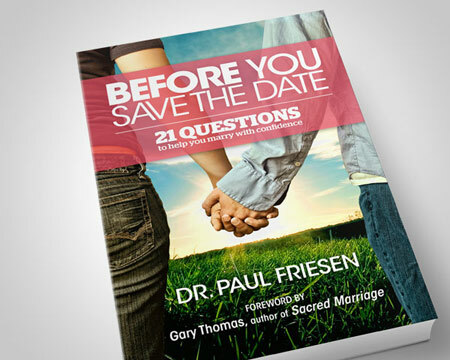 Home Improvement Ministries has published their books Letters to My Daughters (Paul), So You Want to Marry My Daughter? 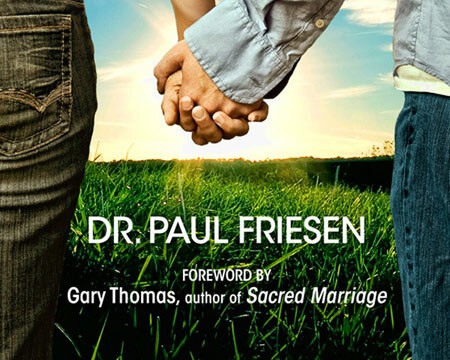 (Paul), In Our Image: A daily guide to strengthen your marriage (Paul and Virginia), and most recently, Raising a Trailblazer: Rite-of-Passage Trail Markers for Your Set-Apart Teens (Virginia). 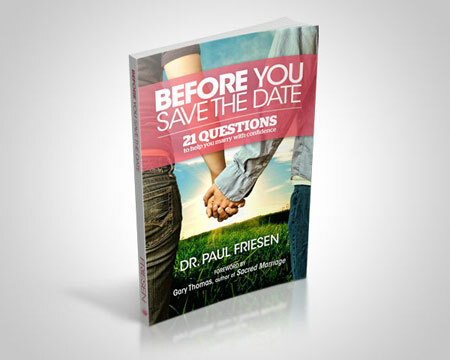 Author Dr. Paul Friesen poses 21 questions dealing with Convictions, Character, Compatibility, and Chemistry to help couples confirm their decision to move toward marriage. This practical, biblically-based book is easy to read, yet deep enough to be thought-provoking and useful in confirming one of life’s most critical decisions.